Lovely pastel themed wishlist - I love eBay wishlists, I always find something new to add to my basket! This time it's that adorable phone case, so cute! the Iphone case is so cool!! and the skirt is really lovely as well! I love pastel this spring! Definitely love the coat, so cute! 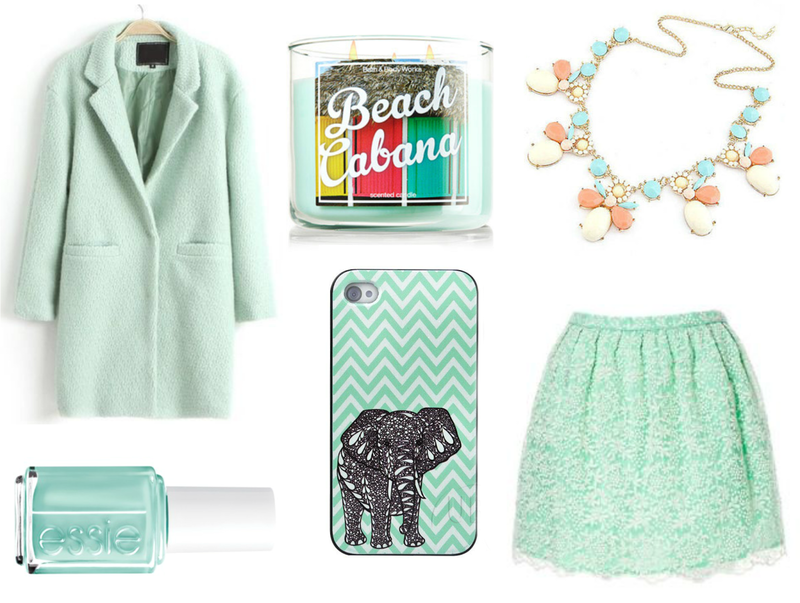 Completely in love with mint green at the moment too - it's definitely a go-to spring/summer colour! Lovely pastel blue wishlist! I love the phone case. I love this mint shade, great picks. All these things are so perfect! Absolutely adore the coat and necklace! This coat is gorgeous! I love mint, it's literally my favourite colour ever at the moment! I never go on eBay anymore, I spend way too much money when I do haha. It's addictive! Great picks! I love the polish (which I own) and the skirt!